Texas state in USA has 1041 Golf Courses. Most of the Golf Courses are located in the cities named Houston, San Antonio and Austin. 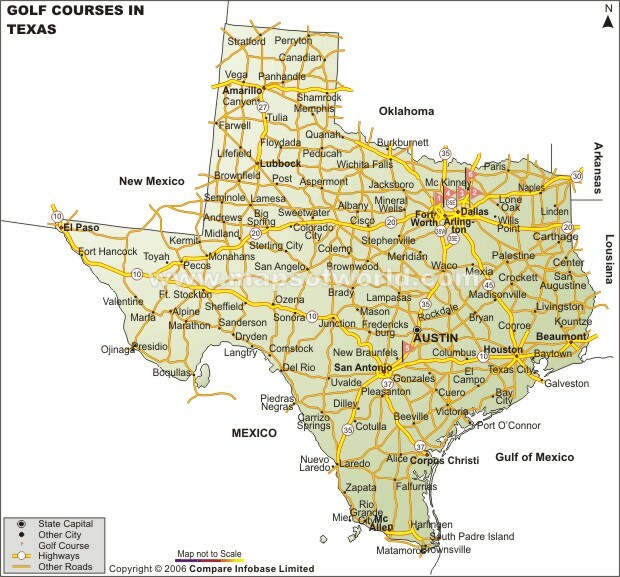 Texas Golf Courses Map provides significant information about the exact geographical location of various cities in which the golf clubs of the state are situated. All the golf courses of Texas are well-maintained and visited by the enthusiasts of the game on a regular basis.